Have you have ever had guests over to the house and during the visit they had to go to the restroom. Then much later, after they were gone, you had to go to the bathroom only to find out that they mistakenly locked the door from the inside. This can be quite frustrating especially in an instance of urgency. In most cases as simple as this, there is no need get all worked up just yet. Here are a few simple tips that will help you open your bathroom door if you find yourself in this situation. Doorknobs with interior locking mechanisms on the interior are common in household bathrooms. Usually they will have a push button on its exterior with a tiny round hole in the center of the knob. To pick this type of mechanism you will need a hairpin. Slide it into the hole and maneuver it around until it catches. Once it catches, the door is now unlocked; now turn the knob and push the door open. Door knob locks with the small hole in the middle can be easily picked also. Usually the hole is just hidden; you just need to know where to locate it. Closely inspect the stem of the knob. There should be a tiny hole on either side of it. Stick the hairpin in that hole and press downward to release the door. Door knobs that turn in order to lock are just as common in the home. It basically has the same function as the push button door lockset. There should be a small hole in the middle of the door knob. Normally you won’t find this type of lock with a hidden hole on the sides. Place the hairpin in the hole and wiggle until you feel some resistance. Now, rotate the hairpin in the direction that a key would normally turn. This should unlock the door. If any of these tips fail to work, do not attempt to force the door open. This can lead to costly damage and lock replacement. 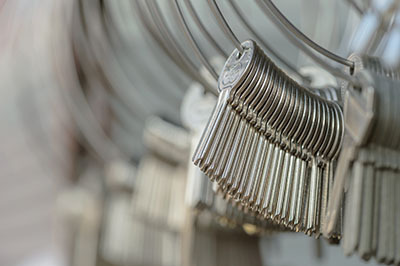 Advise with locksmith company in Everett for further assistance.